1898 Miniaturas is the dream come true of Rafael Gómez and Javier Gómez ‘El Mercenario’), two brothers with a decades long link to the world of miniatures that want to show their personal vision of the hobby with this project, a mix of History, modeling and wargaming. History because 1898 Miniaturas is born with the aim to recreate unfairly forgotten periods of our past, as the Cuban War of Independence and the Spanish-American War, complementing the ranges of miniatures with history or uniformology articles of said conflicts from the pen of renowned authors, and dear friends, like Julio Albi de la Cuesta or Francisco Gracia Alonso. 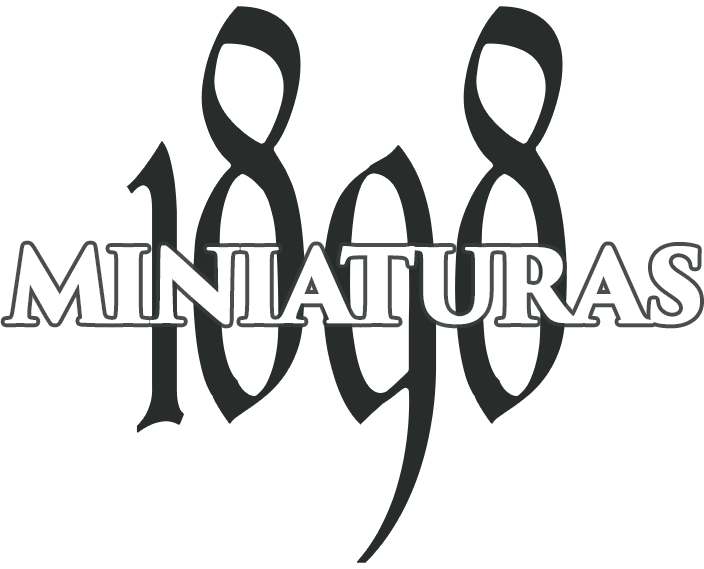 Modeling because 1898 Miniaturas is, above all, an initiative that intends to release 28mm miniatures for collectors, painters and wargamers with a great level of detail and quality, sculpted by José Hidalgo, current sculptor and owner of Miniaturas Beneito and with extensive experience in the sector. Without forgetting, of course, the historical rigor, for which we have accredited advisers like Luis Sorando Muzás or William Combs, or the painting techniques to paint them, by Javier Gómez ‘El Mercenario’. And Wargame because the 1898 Miniaturas ranges are ideal to recreate conflicts at different scales, from small unit skirmishes to field battles. For this we will offer adaptations of different rulesets for this period, as well as different game scenarios. Founder of 1898 Miniaturas. I am the owner of Atlantica Juegos, a store specializing on miniatures, wargames and Military History. My first experience with this hobby happened during High School with role playing games. Later, back in 1990, at the age of 22, I opened my first store in Madrid called “El Baluarte”, specialized in board wargames, role playing games and fantasy games. I had always been very fond of military history, so as soon as I had the first historical miniatures in my hands (Napoleonics from Front Rank, by the way) I decided to get fully involved in this subject and opened a section just for historical wargames miniatures. A couple of years later I entered the Librería Atlántica team, which was the germ of current Atlantica Juegos, which over the years has become a national benchmark in miniaturism, wargaming and Military History. Despite becoming my way of life, twenty-six years later I still feel passionate about this hobby, for which I raise the stakes with this new and exciting project, 1898 Miniaturas. Founder of 1898 Miniatures. 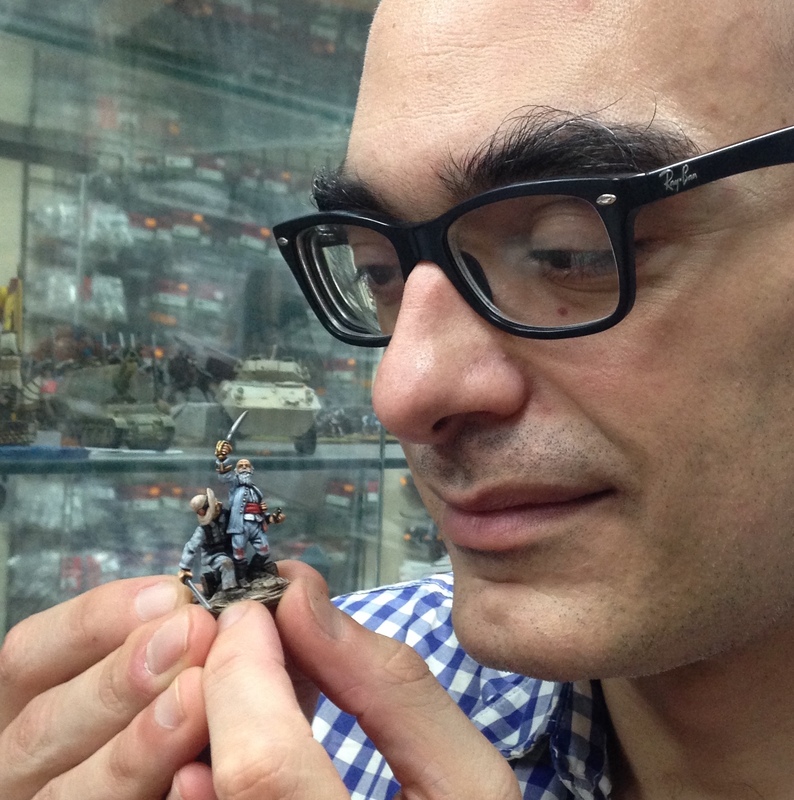 I am a PhD in History, professional miniature painter more known as 'El Mercenario' and coeditor of Desperta Ferro Ediciones. My first contact with miniaturism came in the late 80’s thanks to role playing games and some infamous orc miniatures that I “colored” with Humbrol paints from my brothers. However, from very early on I developed a passion for history that lasts until today and, being barely 15, I began to paint Napoleonic miniatures. Therefore it is not surprising that after finishing high school I enrolled in History, which I combined with working part time in Atlántica Juegos and painting miniatures by commission. After graduating I decided to dedicate myself more and more to miniaturism, acquiring with my good friend and by then partner David Gómez the nickname ‘El Mercenario’, a job that for two years I combined with the direction of the unfortunately defunct Spanish version of the magazine Wargames: Soldiers and Strategy (still available in its international version). Working solo, I painted miniatures for private collectors around the world, as well as for top brands like Perry Miniatures or Front Rank, and I have written dozens of articles for magazines and industry blogs, as well as the book Painting Wargame Miniatures (Pen & Sword, 2015). In 2008 I moved to Barcelona and joined the Alpha Ares club, which since 2014 I have the honor of presiding over. My life took a turn in 2010, the year when I founded, together with Alberto Perez and Carlos de la Rocha, Desperta Ferro Ediciones, an editorial specializing in Political and Military History and Archeology that in a short time has become an indispensable reference in the sector, which I dedicate myself in body and soul (although I always try to spare some time to paint). My first contact with miniature soldiers was in the late 70’s, with Montaplex envelopes. Yes, much water has flowed under the bridge since then… And I have not stopped, first with 1:72 miniatures from Esci, Matchbox, etc, then with some models and the jump to bigger scales, both in plastic and metal. I began to collaborate with Fernando Beneito in 1995 or 1996, in the courses he gave in his workshop, and learned a more refined painting technique. I also took my first steps with putty, although I had already tried to do something with it years before. I started working for him about 2002. Fernando passed away in 2005, and his widow and me kept on for a couple of years more with Miniatures Beneito until she decided to leave it and I took charge, until now. I currently dedicate myself to sculpting originals, painting box art and casting copies. William K. Combs, called “Bill” by all who know him, was born in 1955 in Cincinnati, Ohio. 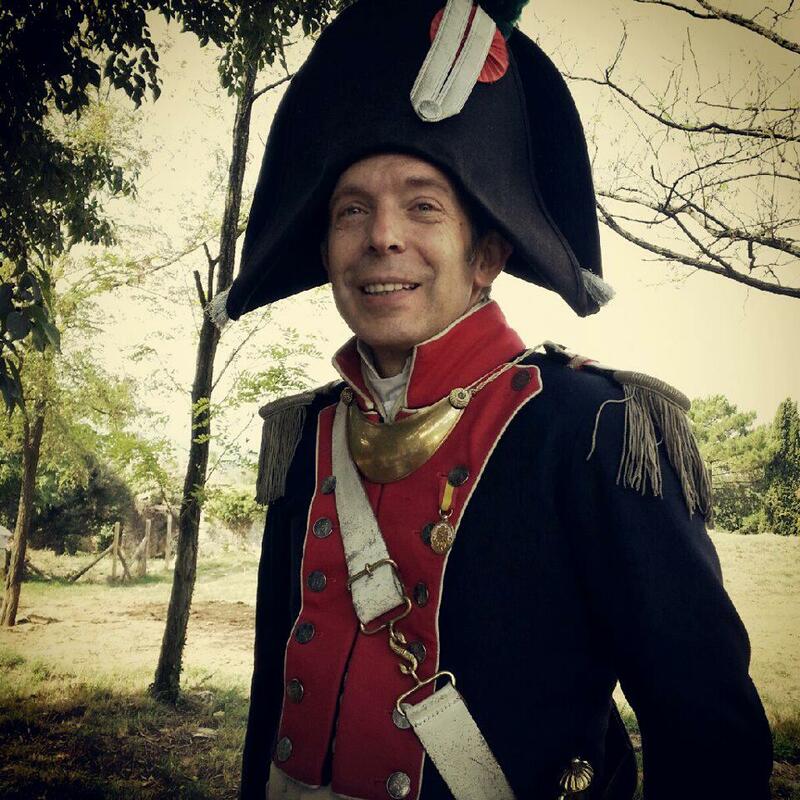 He attended the University of Cincinnati and has worked at several living history museums in Illinois and New York. 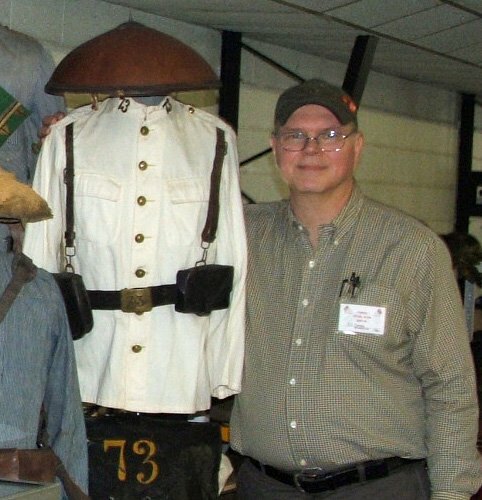 He is currently the business manager of the Ohio Valley Military Society, an organization that sponsors the largest militaria collector fairs in the United States. Bill saw his first rayadillo uniform in a display at the Ohio Historical Society museum in the mid-1970s. He recalls that he thought it was the most beautiful uniform he had even seen. 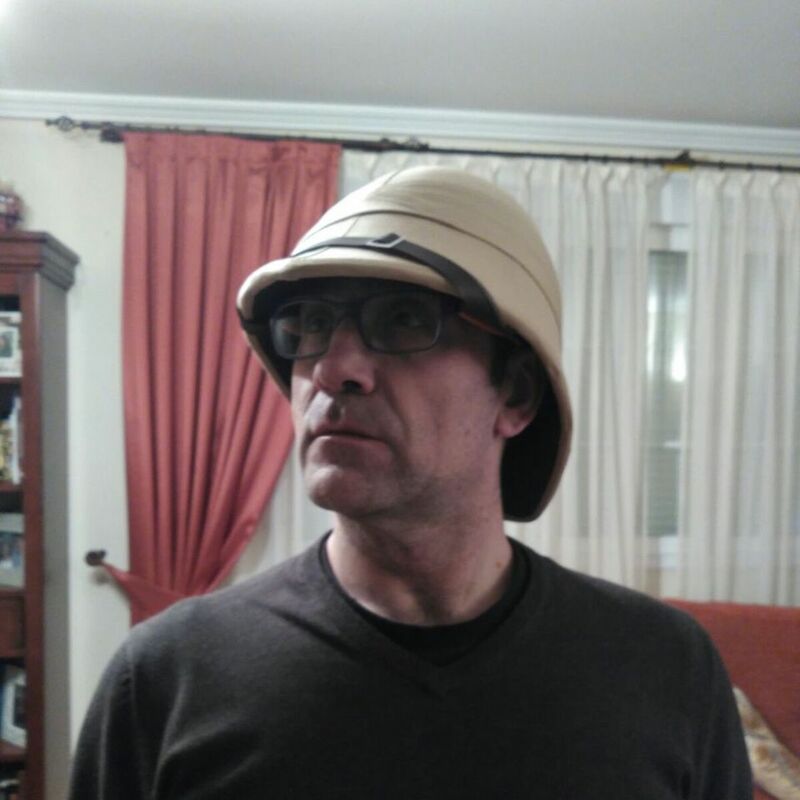 From that moment was born his passion for the study and collecting of the history and material culture of the Spanish colonial army from before 1898. For over 40 years he has focused his research on the uniforms and arms used by the defenders of Spain’s tropical empire. Some of the fruits of his labors can be viewed on his website. A comprehensive book covering the period of 1851-1898 is planned in the future. Luis Sorando Muzás (Zaragoza 1961) is a founding member of the Spanish Napoleonic Association and president of A.H.C. Volunteers of Aragon. Adviser of the Army Museum, he is the author of ‘Flags, standards and trophies of the Army Museum 1700-1843. Catalogue raisonne’, and more than 100 essays and articles on Spanish flags and uniforms, especially from the Napoleonic period. 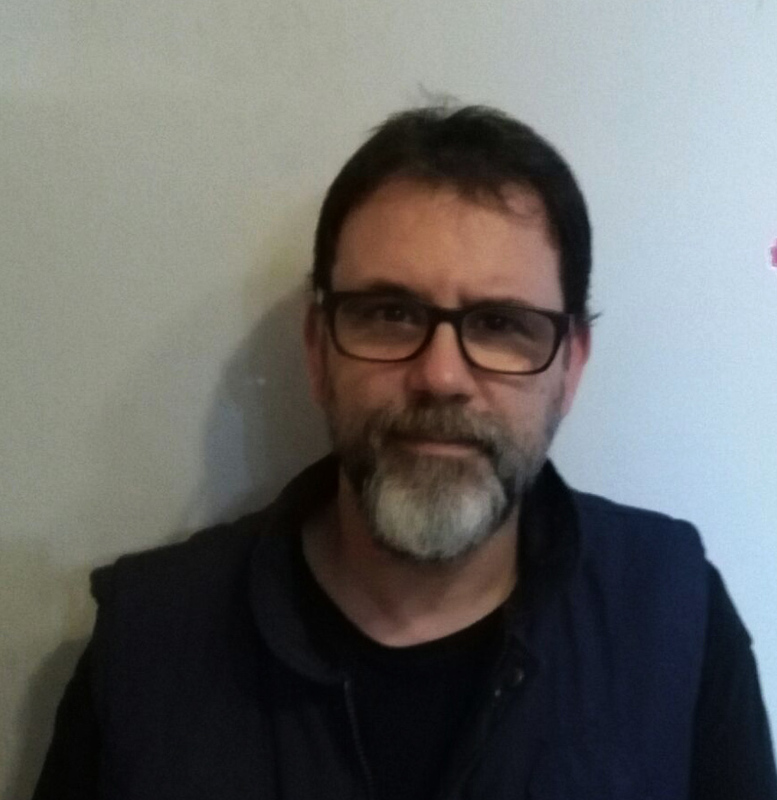 He has been twice awarded the research prize of the Sieges of Zaragoza and the medal “Pro Memoria” of the Polish Government for his collaboration in spreading the study and the memory of its soldiers that fought in Spain.